Jon's first manufactured product: a 13-knife, 30-ft anhydrous ammonia application toolbar. His first patented product: a high-clearance, variable-width moldboard plow. His first major innovation: the first-ever single axle, low-profile grain cart (with giant high-flotation tires), designed and built in 1971. It revolutionized grain handling during harvest time. The event that really changed Kinze, and farming, was a conversation Jon had with farmers in 1975. After hearing some of his friends complain about the amount of time they wasted constantly dismantling and loading their planters onto drop-bed trailers, Jon invented a rear-folding planter toolbar. And planting changed forever. The first rear-fold planter sold 20 more. The next 20 sold another 80. To meet the huge demand, Kinzenbaw purchased 10 acres of land and built a new manufacturing plant near Williamsburg, Iowa. Before the end of the decade, he added 600- and 800-bushel grain carts to the product line-up. And the ideas have kept coming. 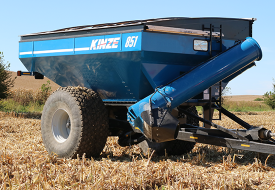 Kinze is still privately held by the Kinzenbaw family. The company’s world headquarters and manufacturing facilities span more than 30 acres (12 hectares) under roof. 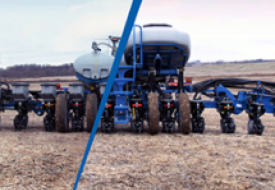 As a market leader in innovating, durable and high-quality planters and grain carts, Kinze continues to reinvest into the future with state-of-the-art facilities and manufacturing equipment. 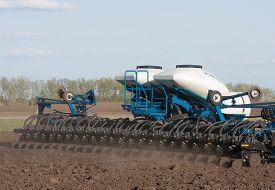 The Kinzenbaw family and many Kinze employees own and operate row crop farms. 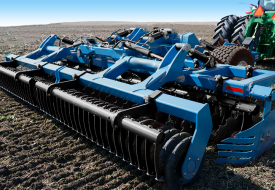 This brings a unique perspective to the way Kinze equipment is designed and manufactured. After all, what better way to evaluate farm equipment than using it on your own farming operation. At Kinze, everything starts with listening. Listening to farmers at the forefront of innovation. Farmers who want to take advantage of proven technologies that maximize productivity. Listening. Then designing, building, testing, refining, and using it on our own farms. Then, we bring it to the rest of the world.